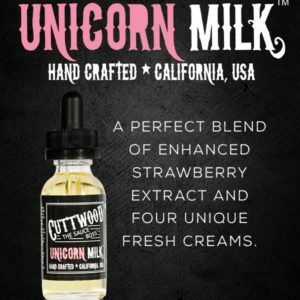 Cuttwood – Sugar Drizzle – 60ml Cuttwood – Sugar Drizzle – expertly balances a bakery cinnamon with sweet, milky cream, to create a very all-day-vapable e-juice that will hit those breakfast cereal notes your taste buds crave. 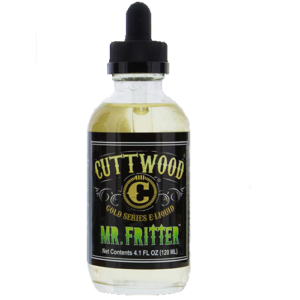 Cuttwood Mega Melons – 60ml Cuttwood Mega Melons balances mango, cantaloupe, and papaya perfectly creating a smooth, not-too-sweet, mouthwatering tropical medley. A perfect blend of enhanced strawberry extract and four creams. 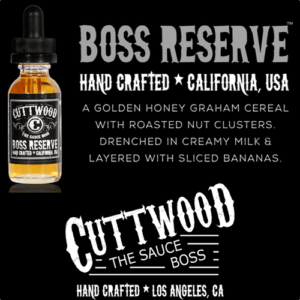 Organized chaos with bananas and warm brown sugar, with an undertone of pineapples, coconut and cinnamon. 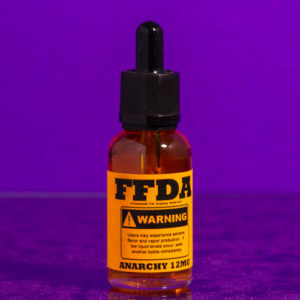 Forbidden fruits and green apples combine to form this bold flavor laced with lime. Watermelon and honeydew with a hint of lemon and mango fuels the unstoppable force. 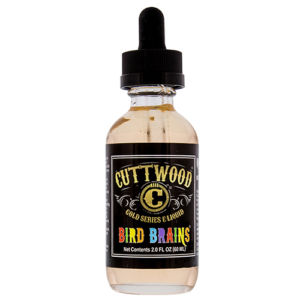 Cranberries, grapes and a hint of black cherry make up this dark ominous flavor combo! 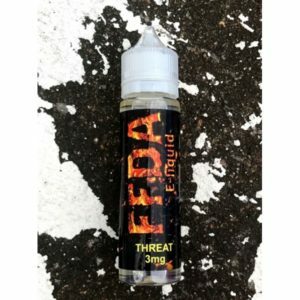 Threat is a premium e-liquid flavor from FFDA. 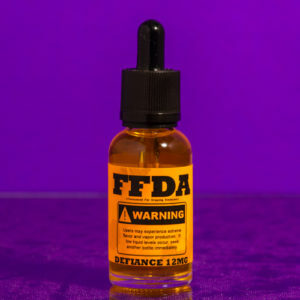 Sugar coated Peach Gummy ring flavor proves to be dangerously delicious! 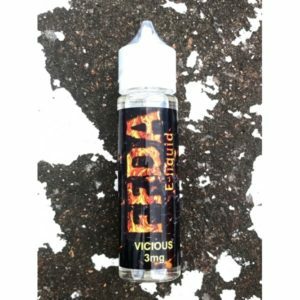 Vicious is a premium e-liquid flavor from FFDA. This website contains adult-oriented material related to tobacco products. You must be 18 years or older to enter this website. By going beyond this point, you acknowledge that you are 18 years or older.